Meek Mill does not want any of Drake fans at any of his concert too bad this OVO supporter learned the hard way. The Philly rapper was performing at Fool’s Gold Day Off concert in Brooklyn on Monday when he snapped at and threatened a fan of Drake who was holding up a sign in support of the Toronto rapper. 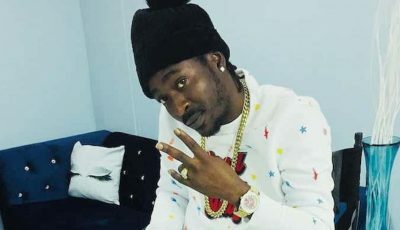 Seems the fan intended to taunt Meek Milly while he was performing for a jam packed audience but it back fired when the rapper send one of his crew members to go intimidate the poor guy. After going off on the fan Meek send one member of his gang to go over and make sure that the fan didn’t put the sign up again. “You’re standing next to a shooter now what you going to do,” the “All Eyes On You” rapper said. 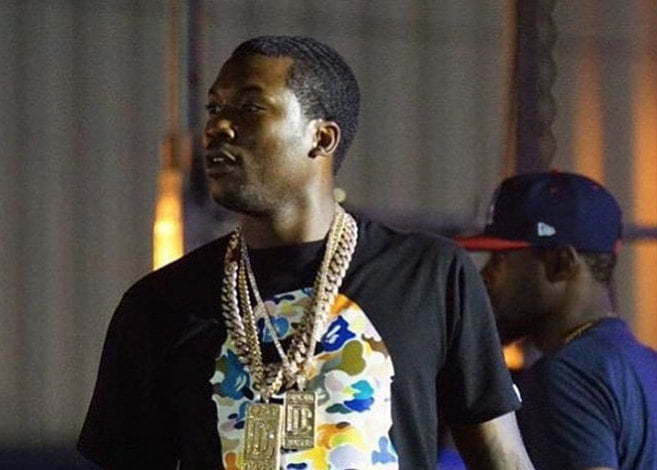 Meek Mill has been taking a beating for most of the summer after igniting a beef with Drake on Twitter in July. The feud also saw a falling out between Nicki Minaj and his labelmate who has had a rocky relationship in the past. Sources say the two have not spoken to each other since that Twitter rant from Meek Mill. Lil Wayne also seems like he has taken a side in the beef after he was spotted at a club rapping the lyrics while “Back To Back” was playing.